The vision of Mission East End is to see a believing community overflowing with the kinds of disciples who will form the kinds of churches that will reach the East End, the city of Toronto, and the world beyond, with the good news of Jesus Christ. 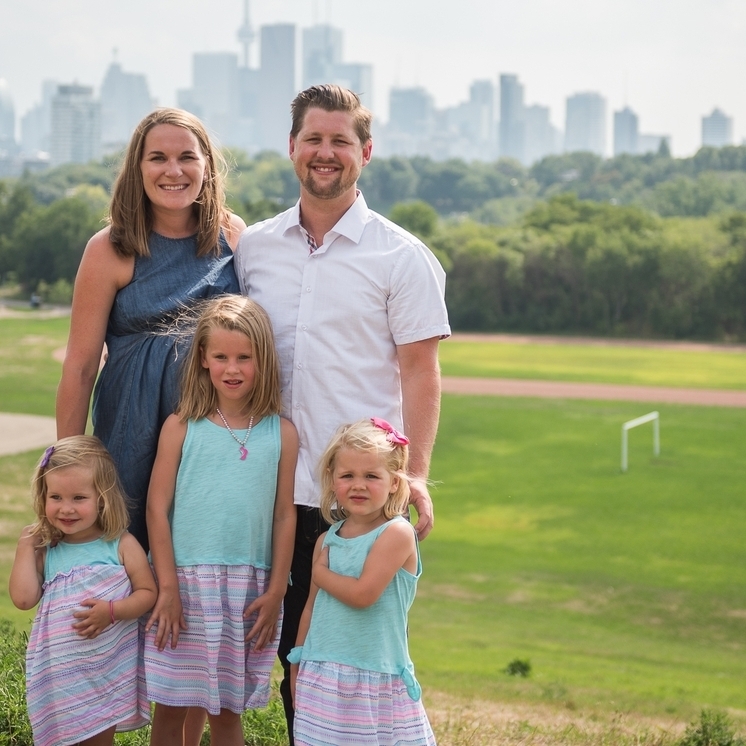 After completing his Masters of Divinity and gathering ministry experiences in Chicago, Leipzig, and St. Louis Kyle and Kim Hackmann moved to Toronto in 2010 to join Grace Toronto in their mission of seeing churches planted throughout Toronto. For the past six years they have lived in the East End and have grown to love Toronto. Richard is Mission East End’s first Pastoral Resident. He has a background in book publishing and recently completed a Master’s Degree in Theological Studies at Wycliffe College. Richard is a Brit, and is married to Robyn. They have two boys. Grace Toronto Church is a Presbyterian Church in America (PCA) plant. City to City recruits, trains, coaches and funds leaders who start gospel movements in cities through church planting.